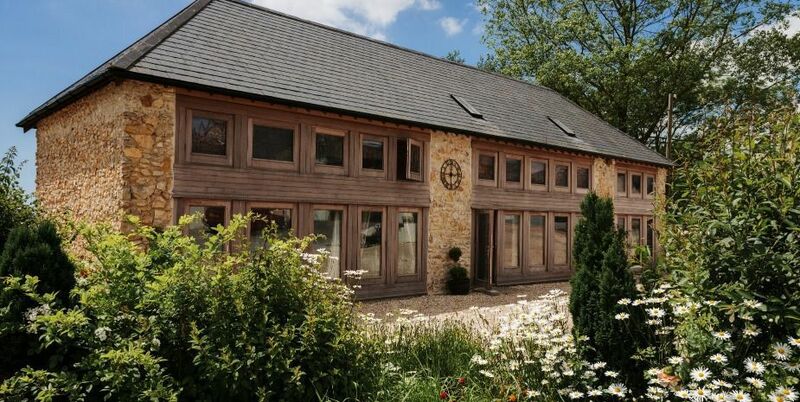 Awarded a Gold certificate by The Green Tourism Business Scheme, this Eco barn has been renovated to the highest standards, using natural products and original techniques, incorporating the latest green technologies. 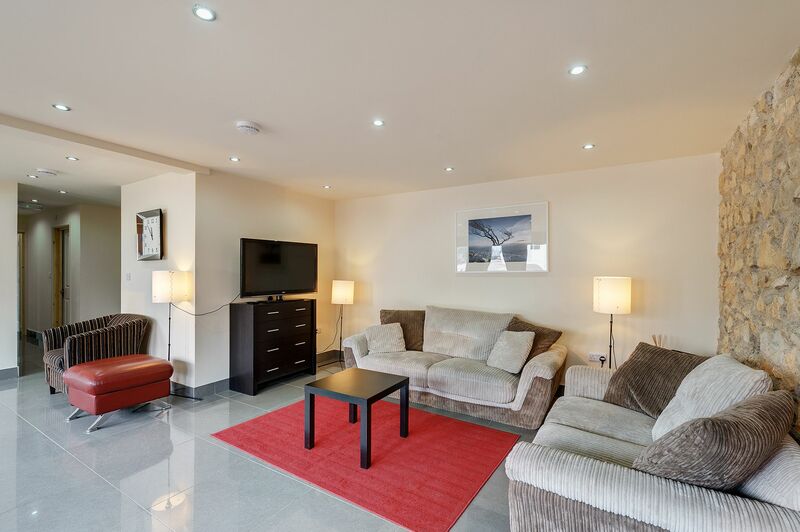 Short breaks are available, with a minimum stay of two nights. 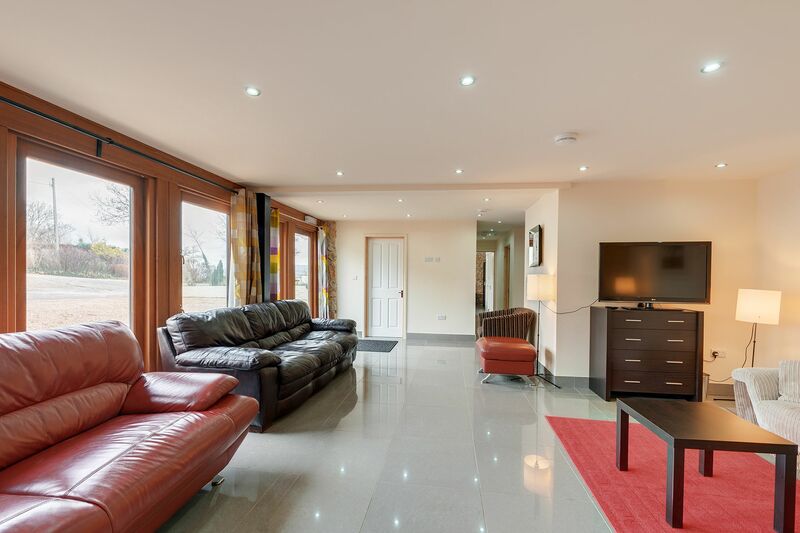 Open plan reception space with tiled floor comprising a lounge, and large kitchen zone with dining for 16. 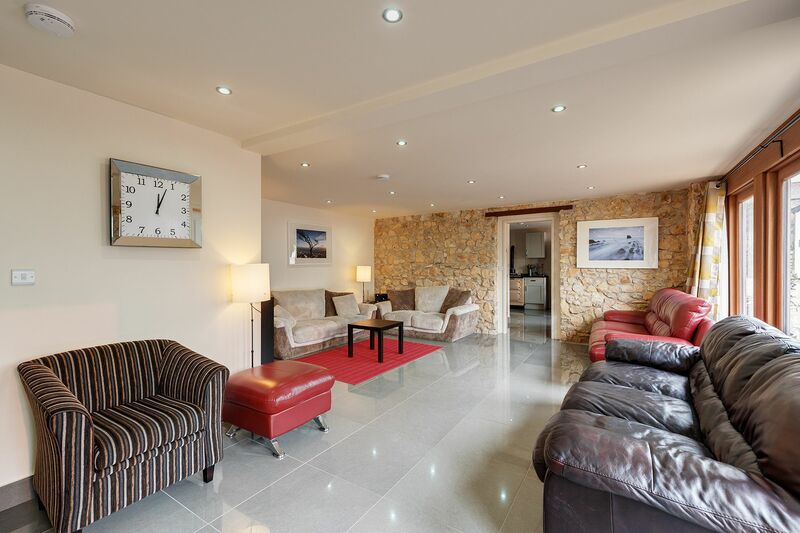 Extremely spacious, with panoramic views over the Axe Valley out to the Jurassic coastline. Bedroom 1: Family room with a king-size bed, one full-size single bed and one put up bed. 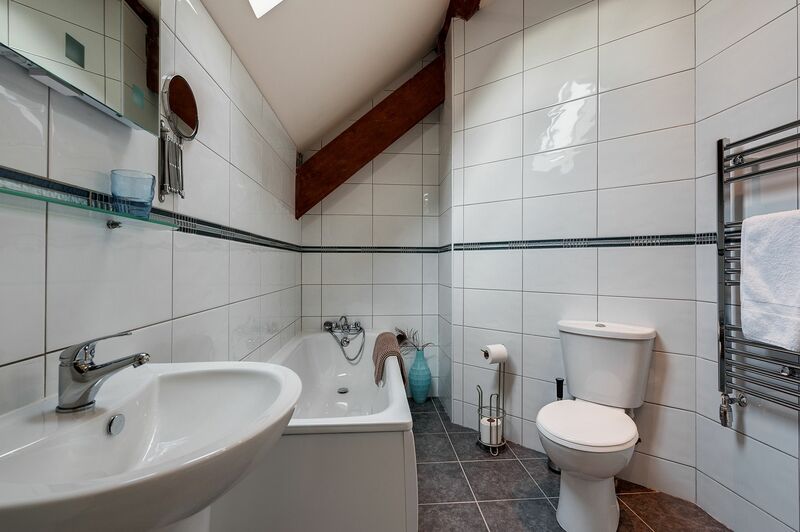 En suite wet room. Full-length windows with views of the courtyard and disabled access. 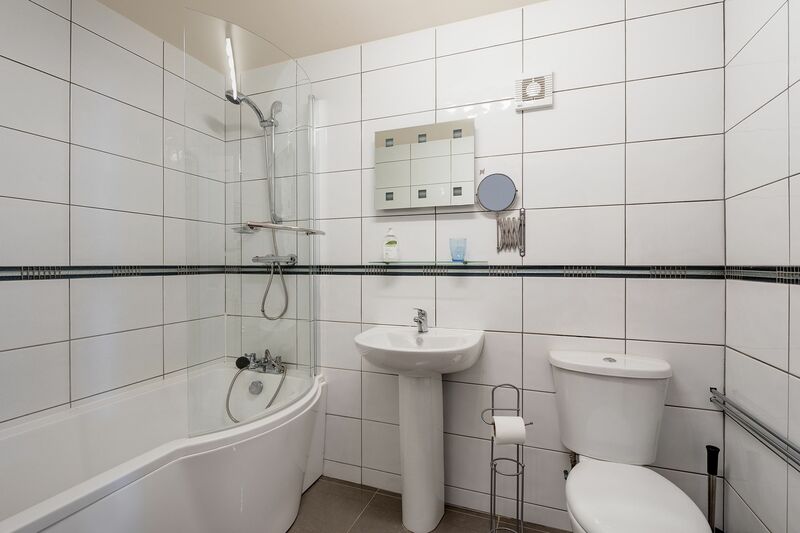 Bedroom 2: Twin bedroom with a dedicated bathroom with bath and overhead shower across the hallway. Bedroom 3: King-size bed and en suite with a bath and overhead shower. 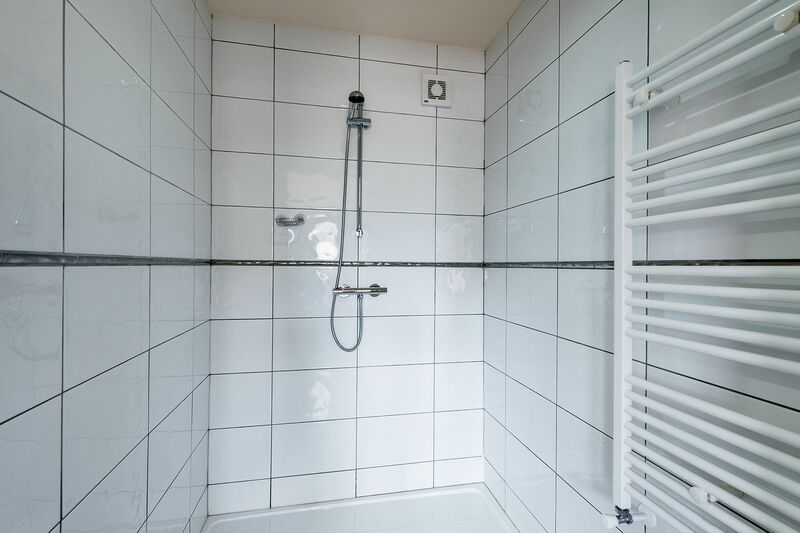 Bedroom 4: King-size bed and en suite shower room. 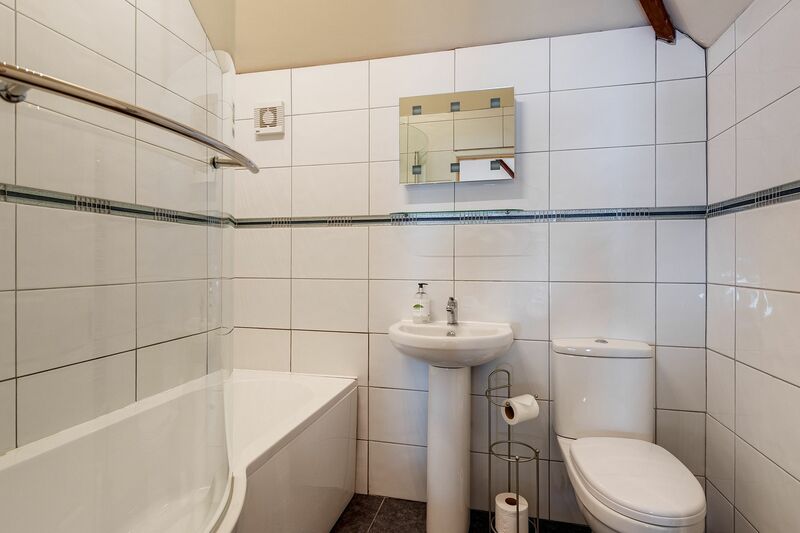 Bedroom 5: King-size bed and en suite has a bath and overhead shower. 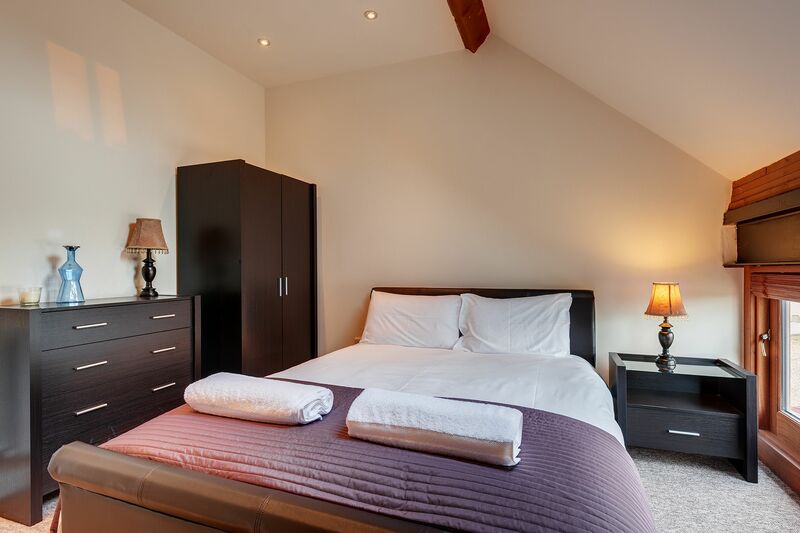 Bedroom 6: Family room with a king-size bed, two full-size single beds and an en suite with bath and handheld shower. 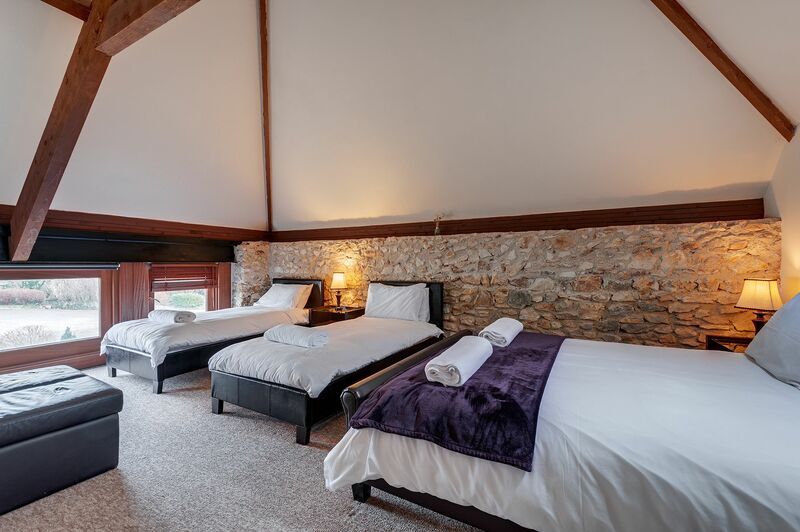 Get together at The Linhay, one of seven luxurious stone barns delicately restored from a former 18th century dairy farm at Kilmington Barns. 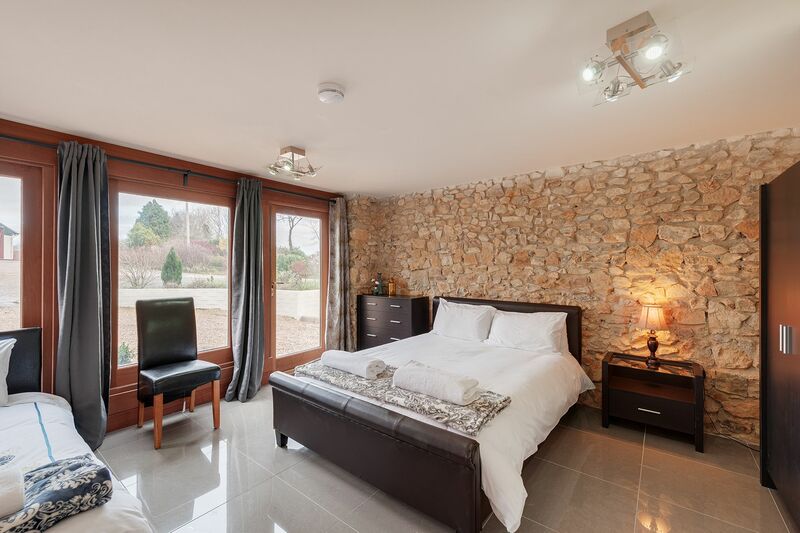 Sleeping 16 in six bedrooms, The Linhay offers the ultimate bolthole for families and groups of friends and is wheelchair accessible. There are lots of activities on hand. 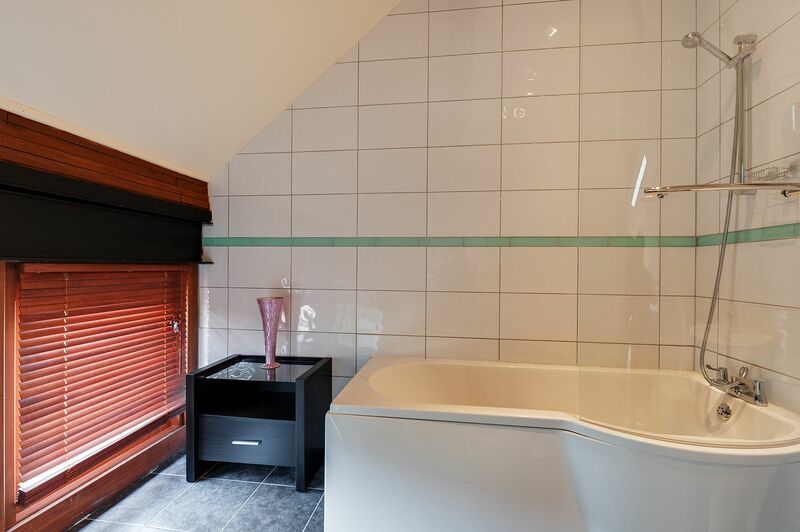 Or champion the inviting hot tub – and relax! 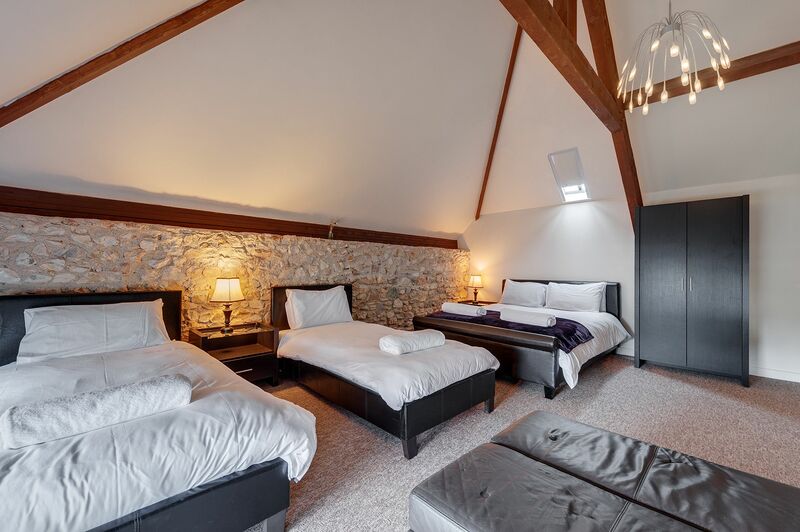 The stunning five-star barns are located on a hillside above the village of Kilmington with wonderful views over the Axe Valley and the Jurassic Coast. 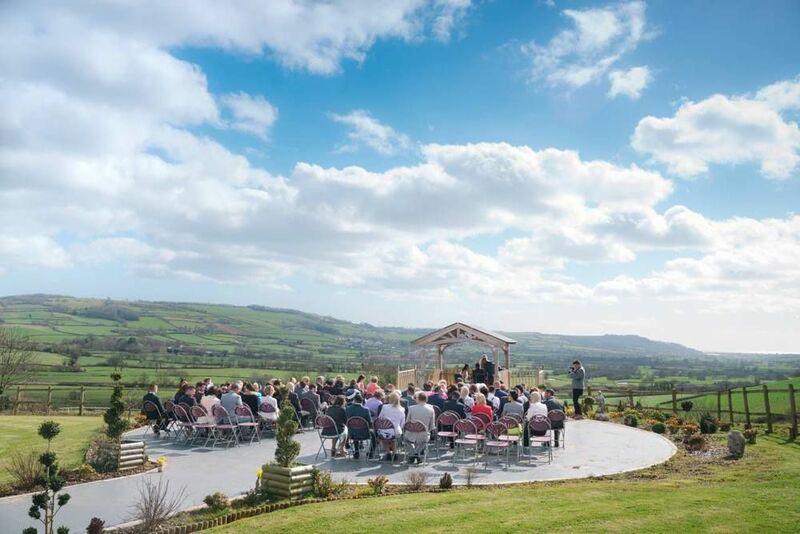 Situated on the edge of the East Devon Area of Outstanding Natural Beauty, the barns are set amongst 100 acres of beautiful private countryside on the Devon/Dorset border. 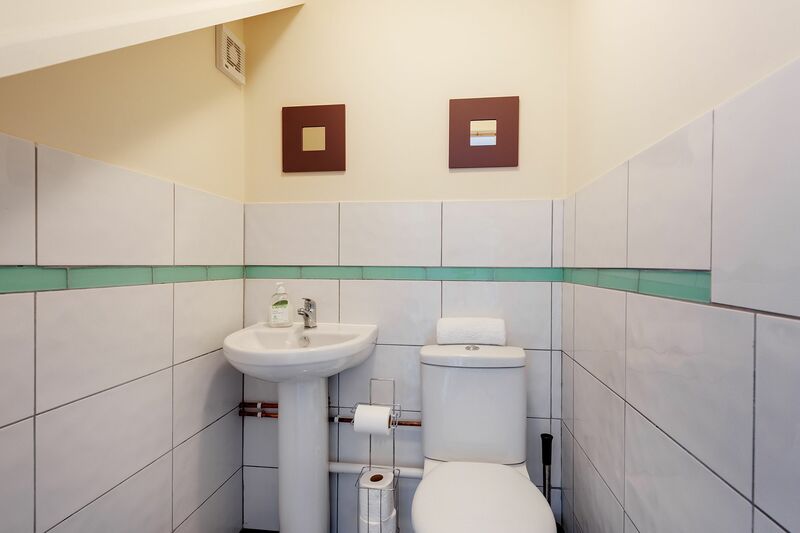 Beautifully converted to the highest standard, The Linhay retains its original character with luxurious style and modern facilities thoughtfully inserted. 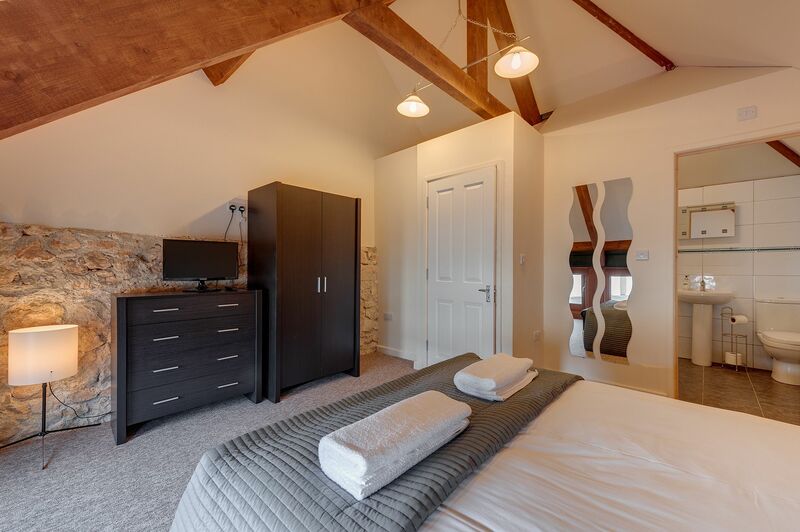 The barn benefits from an impressive open plan living space with panoramic views over the Axe Valley serving the perfect backdrop. 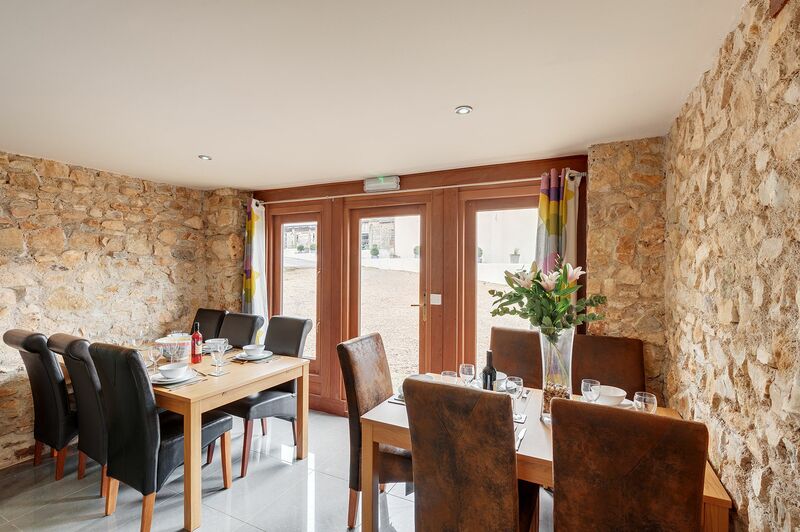 Featuring a chic and contemporary lounge area and a large well-equipped kitchen and dining zone seating 16, there’s plenty of room for everyone to relax and dine together. 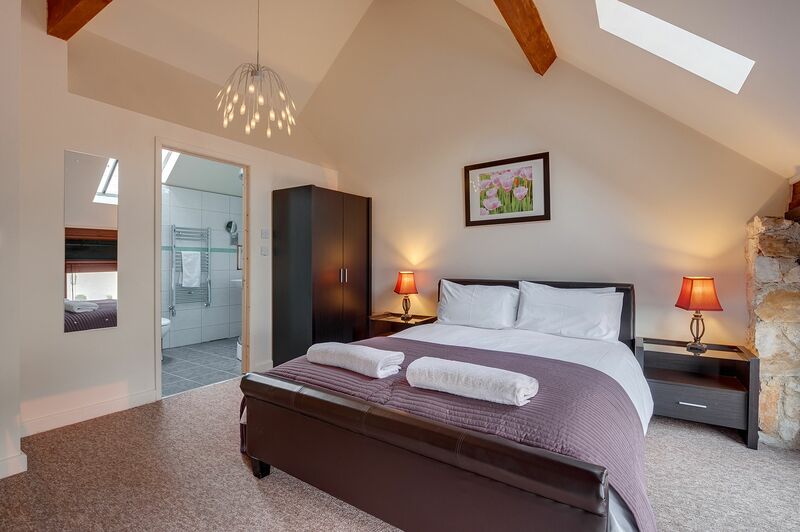 The Linhay has three en suite king-size bedrooms, one twin rom with dedicated separate bathroom, and two en suite family rooms each with a king-size bed and two singles. 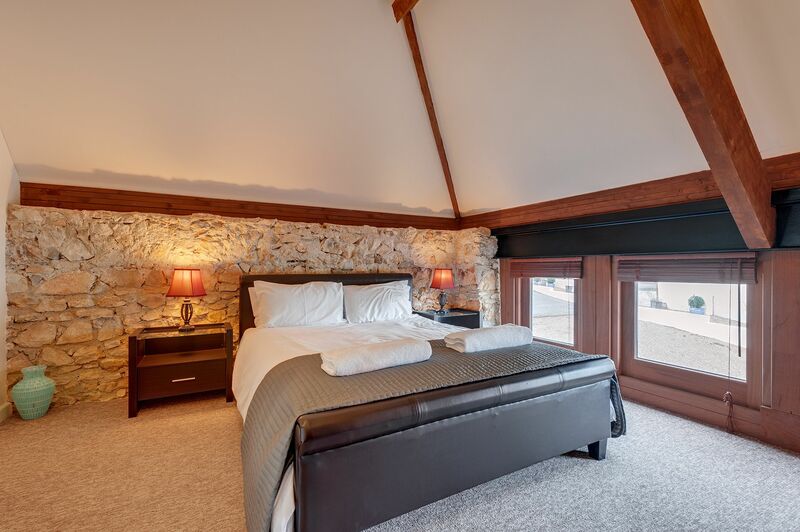 Two of the bedrooms are on the ground floor; the twin room and one of the family bedrooms. 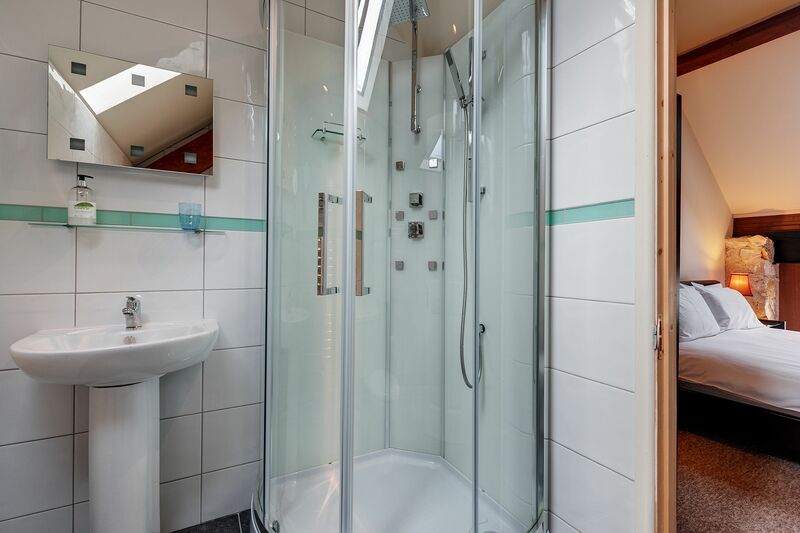 This family room has a wet room and disabled access, ideal for guests with reduced mobility. 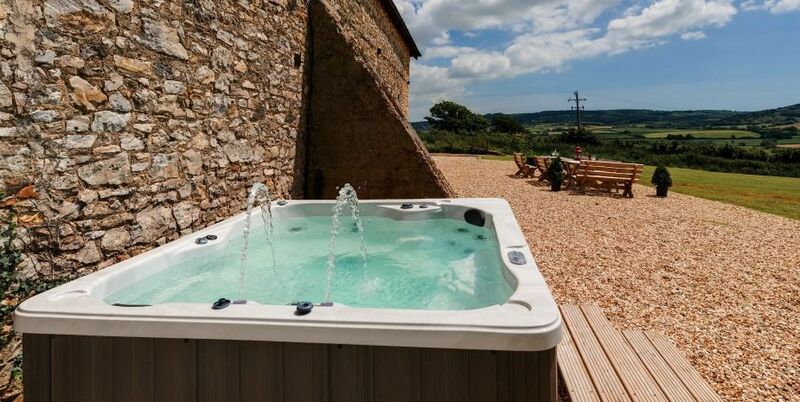 To the rear, The Linhay has a large private garden with an inviting hot tub and spectacular views across the valley - perfect for unwinding or a spot of stargazing at the end of the day. There are plenty of picnic benches and a seating area too for al fresco dining or simply relaxing. 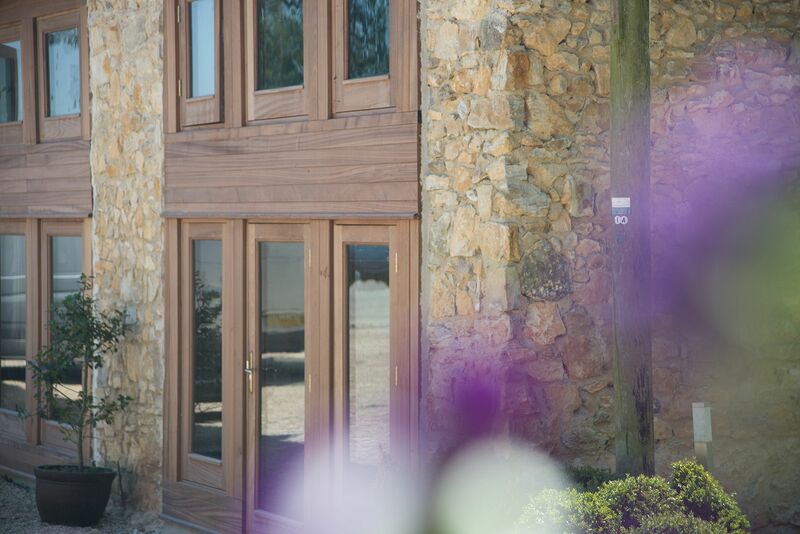 You’ll also find the Hideaway Spa nestled within the tranquil settings, offering the most luxurious products and unique treatments delivered by highly trained therapists. A superb range of activities can also be arranged both on and off site, promising anything from cocktail making to canoeing! We’ve detailed more in the “Things to Do” section. If you want to switch off and take a rest from cooking, the highly rated chefs onsite can drop off meals direct to your door, or prepare a celebratory meal in your kitchen (clearing away included!). Alternatively, just a short stroll away is an onsite bar with adjoining new restaurant offering freshly prepared, locally sourced seasonal ingredients. The Linhay makes an ideal base for discovering this delightful, unexplored corner of Devon, bordering both Somerset and Dorset. Locally, the friendly, pretty village of Kilmington is half a mile with a post office, store, a fantastic farm shop and excellent pub, The Old Inn. The pretty market town of Axminster, home to River Cottage Canteen and famous Axminster carpets, is two miles offering a large range of shops, pubs and eating places. Just over the border into Dorset are many Iron Age hill forts. To the north are the quiet roads and charming villages of The Blackdown Hills AONB, the Somerset levels and Vale of Taunton. 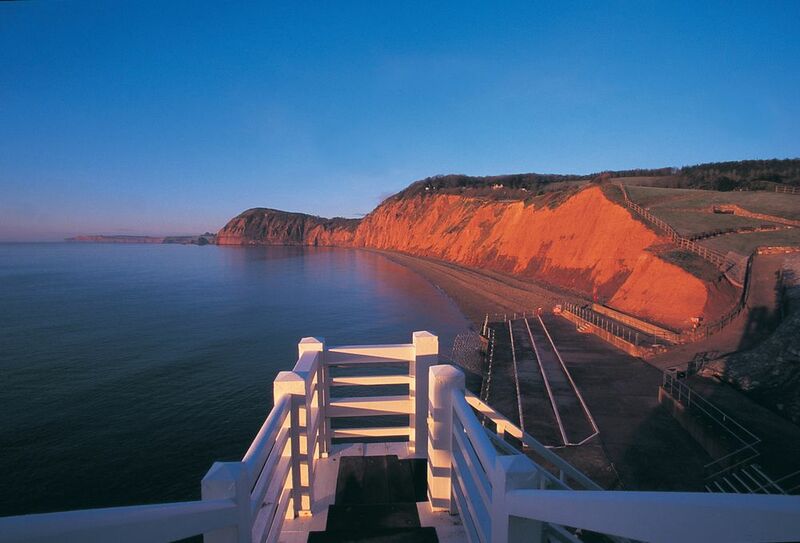 Or head south to enjoy both the West Dorset and East Devon World Heritage Jurassic Coast. The seaside town of Lyme Regis, famous for fossils is only 15 minutes' drive and the traditional fishing village of Beer is less than 20 minutes. Seaton's historic tramway along the wildlife-rich Axe estuary to Colyton is within a 10 minute drive. Astronomy enthusiasts will appreciate the Dark Sky area. 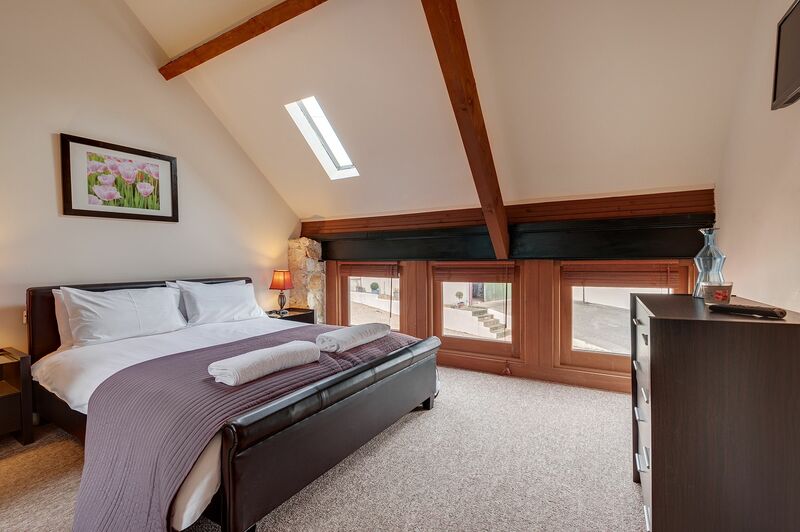 The other six barns at Kilmington Barns are: Keepers Tallet (sleeps 2); The Pony Trap (sleeps 2); The Creamery (sleeps 4); The Straw Loft (sleeps 4); The Freestall (sleeps 5/6) and The Milk Shed (sleeps 16). Barns may be taken individually or in any combination for get-togethers of up to 50 guests. There is an onsite bar with The Butchers Block restaurant adjoining, offering freshly prepared, locally sourced seasonal ingredients. The restaurant has two floors, with the first floor used for private celebrations and corporate meetings. The restaurant is open on Thursdays, Fridays and Saturdays for lunch and dinner. Booking is essential - please telephone 01297 33308 to reserve a table. The Old Inn in Kilmington (0.7 miles, 16 minutes' walk) is a popular destination for visitors. The Old Inn also offers private dining in their newly refurbished skittle alley. The Tuckers Arms in Dalwood (3.5 miles, 10 minutes' drive). Wheelwright Inn, Colyford (4 miles). Cinnamons awarded 'Best Indian Restaurant in Somerset and Dorset' at the British Curry Awards. Hugh Fearnley-Whittingstall 's River Cottage Deli and Canteen. Millers Farm Shop, Gammons Hill (0.8 miles). Lyme Bay Winery, Shute, Axminster (2 miles). Axminster (2.8 miles) enjoys a good range of shops. Royal Oak Farm, Cotleigh, near Honiton (6.5 miles). The farm serves award winning cream teas too. Barleymow's Farm Shop, Snowdon Hill Farm, Chard (10.5 miles). The Masons Arms, Branscombe (7.5 miles). 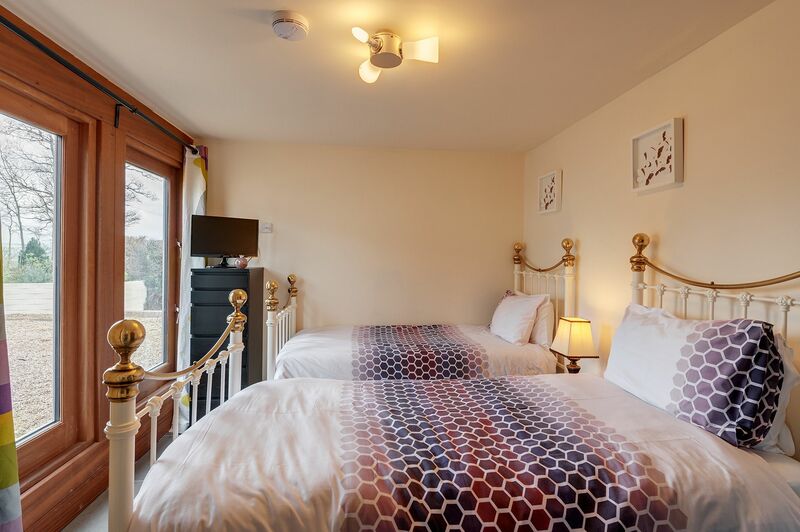 Located just 10 minutes walk from Branscombe Beach, this 14th century hotel offers and award-winning restaurant, locally brewed ales and free parking. A very pretty setting too. The Anchor Inn, Beer (8 miles) is a 19th century inn offering tasty food, fine wines and good beer. In the summer you can enjoy a hog roast or barbecue in the cliff-top beer garden whilst taking in the magnificent view out to sea. 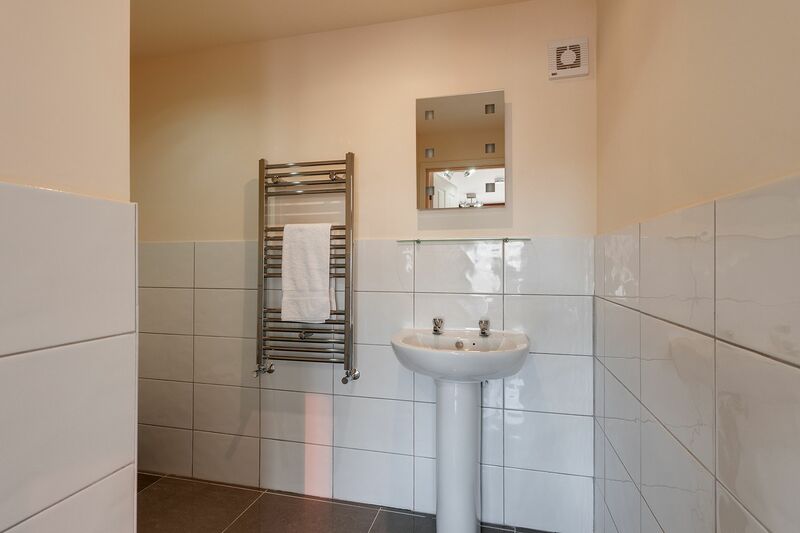 Dukes, Sidmouth (14 miles) is situated next to the seafront at Sidmouth, this place has a relaxed continental feel to it. Feast on slow roast belly of pork with cider sauce, seared Pollack or rump of lamb. All produce is locally sourced. Jack in the Green, Rockbeare (19 miles). Winning the Taste of the West awards in 2009, and serving their ‘taste of Devon’ speciality menu you can sample pork reared at nearby Kenniford farm and the restaurant’s own air-dried Coppa ham. The Five Bells Inn, Clyst Hydon (20.5 miles), is a 16th century Inn serving traditional lunch and dinner in a cosy atmosphere. The Digger’s Rest, Woodbury Salterton (21 miles). Enjoy local ales and freshly produced meals from seasonal and local produce, all served to a very high standard in a very cosy setting. The Bridge Inn, Topsham (26 miles). Now in it’s fourth generation of the same family, this pub specialises in real ale, with up to ten being available at any one time. Local cider comes from a mile away and robust wines from not much further. Simple food is served at lunchtime. 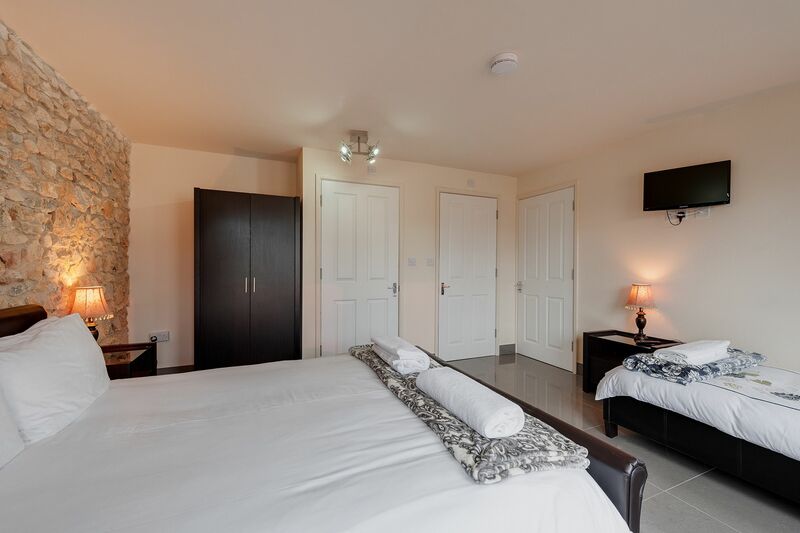 The extensive onsite spa facilities include single and double treatment rooms, use of steam showers for spa body treatments, Jacuzzi baths for individual and coupled use, a dry hydrotherapy bed, a hot tub which is great for friends, couples and hen parties as well as an infra-red sauna. Kilmington Barns can also arrange many offsite activities, including transport. These include Lyme Bay Rib Rides, shooting experiences, sea fishing trips, horse riding, Go Karting and Quad Biking, 4×4 off-road driving, paint balling, canoeing and kayaking. Please note: It is advisable to book the Spa and/or activities prior to arrival to avoid disappointment - please call us on 10275 217575 for more information. Fossil hunting from Lyme Regis (8 miles) and Charmouth (7 miles) beaches. Land Rover Experience West Country, Wessington Farm, Awliscombe, Honiton (10 miles). UK Llamas, New House Farm, Beaminster (15 miles) offers trekking around the county with Llamas. Lyme Bay RIB Charter, West Bay, offer exciting & exhilarating boat trips along the Jurassic Coast - RIB Blasts, Coastal Cruises, Water Skiing & Wake Boarding and Jurassic Coast Link between West Bay & Lyme Regis picking up from either harbour. With the Jurassic Coast on your doorstep, there are plenty of opportunities to enjoy life on the water, including kite surfing or water skiing. If you fancy having a go at Kitesurfing with Edge Watersports , Wind Surfing or Sailing with Sailexmouth, head to Exmouth (25 miles) where lessons can be taken. For a gentle paddle exploring the canal, canoes can be hired from Saddles & Paddles at Exeter Quay (31 miles). AS Watersports, Exeter (31 miles) offer canoe, sit on top kayak and stand up paddle board hire on the Exeter canal and River Exe. They also offer tuiton courses including sea/touring skills, sit on skills and safety, rolling lessons and one to one lessons. Parking at the Quay in Exeter (31 miles) will allow you to join the Exe Estuary trail linking Exeter to the coast at Dawlish and Exmouth. Bikes can also be hired here from Saddles and Paddles along the quayside. Haldon Forest Park (33 miles), near Exeter, has purpose built trails for all cycling abilities. Mackerel fishing trips run regularly in the summer months from Beer beach (7.5 miles). From here you can also hire your own boat to explore the bay. Fishing is also available nearby. Lower Bruckland Trout Fishery, Bruckland Lane, Musbury (3.5 miles). Lyme Regis Golf Club, Timber Hill, Lyme Regis (6.5 miles). Sidmouth Golf Club, Cotmaton Road, Sidmouth (13 miles). East Devon Golf Club is situated on the cliff top above Budleigh Salterton (23 miles). Honiton Golf Club (8 miles). 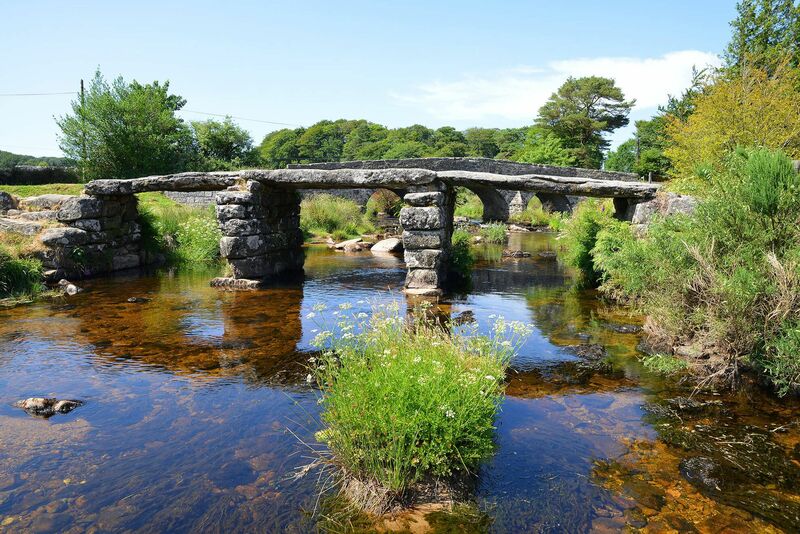 Do you dream of riding out in wide open spaces or exploring woodlands and riverbanks? Kilmington Barns has stables should you wish to bring your horse on holiday with you. The tack room is at your disposal, a water bucket is provided for each stable and hay, straw or chippings can be arranged. However, as it is on a DIY basis, you do the mucking out yourselves. AXMINSTER (2.8 miles) is a lovely market town and very much linked to the carpet industry. The celebrity chef and TV presenter Hugh Fearnley-Whittingstall has converted an old inn of the town into the River Cottage Deli and Canteen. Axminster has plenty of privately owned shops, a weekly market and excellent old inns. COLYTON (2.8 miles) is a historic medieval town. The Seaton Tramway runs to Colyton and the quarterly Country Market is now established as one of the biggest outdoor local food markets in the South West. AXMOUTH (6 miles) has a beautiful busy harbour with many moorings. SEATON (6 miles) is a long established seaside town at the mouth of the River Axe. Attractions include the Seaton Tramway and the Seaton Labyrinth. The Seaton Marshes Nature Reserve is beside the tramway and has paths suitable for wheelchair users so that everyone can enjoy the wildlife at any time of year. 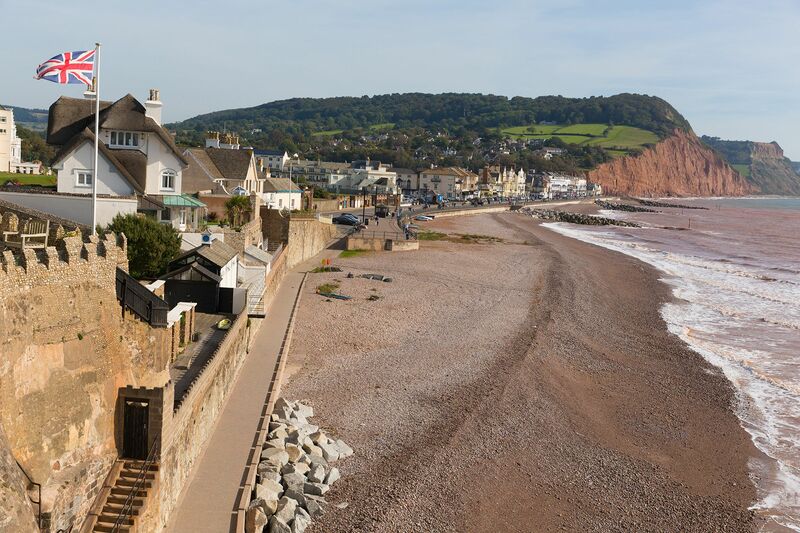 Apart from fossil hunting, visitors to Seaton will enjoy all kinds of water sports along the mile long pebble and grey sand beach as well as walks on the South West Coastal Path. CHARMOUTH (7 miles), is a paradise for fishing for either the boat or beach and fossil hunting. Fossil Walks arrange guided fossil hunting at Charmouth. Visitors can also take a pleasant walk up to Golden Cap – the views are amazing. There are some lovely pubs and restaurants in Charmouth to relax and enjoy a good meal in and the Charmouth Heritage Coast Centre is worth a visit. LYME REGIS (8 miles) is a historic town and picturesque seaside resort with its famous Cobb, sandy beach, harbour and charming character. Activities include the popular Fossil Walks, the Museums, Marine Aquarium and Fossil Hunting. BEER (8 miles) is a picture-postcard village with a sheltered shingle beach backed by limestone cliffs.. There are a good range of shops, friendly cafes, restaurants and pubs. 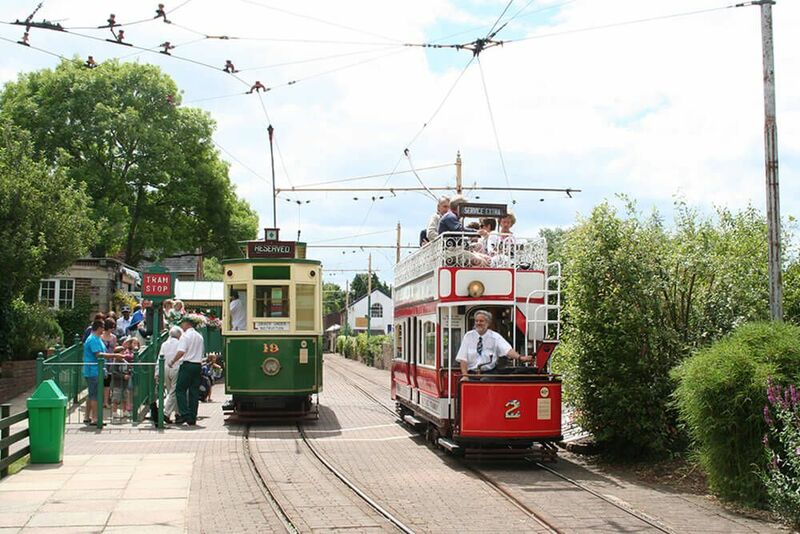 Attractions include Pecorama which boasts magnificent gardens, the Beer Heights Light Railway and indoor model railway exhibition, along with a childrens' play area. 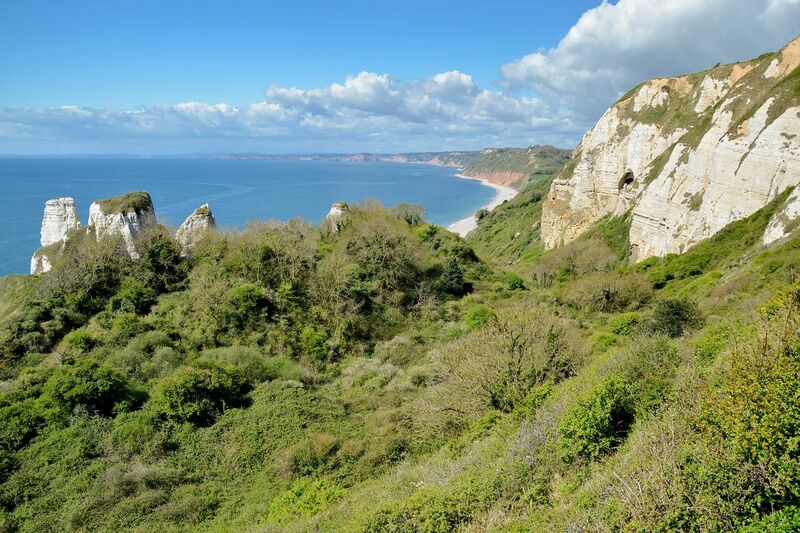 Once smuggling territory, contraband was hidden in the nearby Beer Quarry CavesThere is a fabulous walk from Beer to Branscombe along the South West Coast Path, with breathtaking views across Lyme Bay. 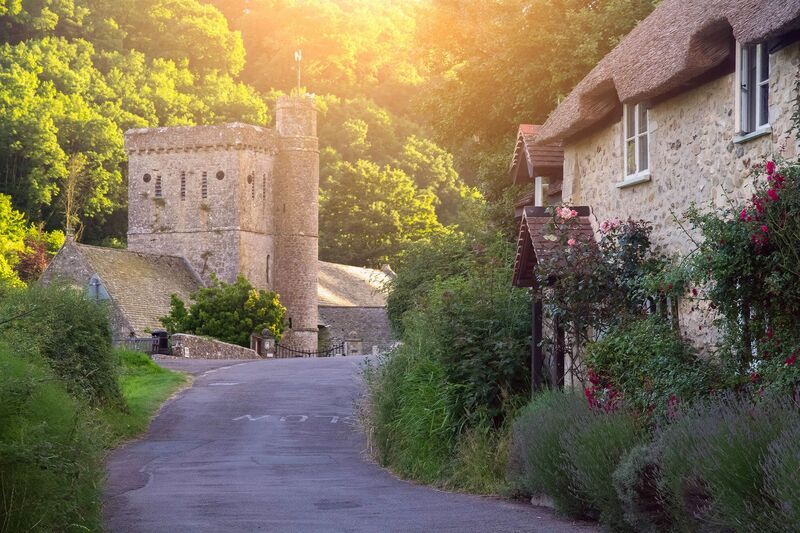 BRANSCOMBE (8 miles) is one of Britain’s most picturesque villages with miles of tranquil walking through woodland, farmland and beach. Branscombe has a number of historic, but still working buildings, the Old Bakery and Forge (National Trust) being just two. COLYFORD (8.5 miles). The famous Seaton Tramway, with a stop at Colyford, runs along the stunning Axe Valley to Seaton in one direction and Colyton in the other. HONITON (9 miles) is a delightful historic market town which earned a world famous reputation for lacemaking. Now a major centre for the antiques trade, there are over 30 shops devoted to furniture, art and second hand books, as well as pubs and restaurants. Visitors can see some fine examples of antique lace in the town’s Allhallows Museum. The Thelma Hulbert Gallery has links with the Hayward Gallery, London. There are events throughout the year in Honiton. SIDMOUTH lovely seaside town (13 miles). is an elegant seaside town with a clean pebbly beach, giving way to golden sands at low tide, with rockpools and safe bathing. Sidmouth boasts one of the few public access observatories, the Norman Lockyer Observatory, complete with planetarium. The Sidmouth Folk Festival each August is one of the biggest in Europe. BRIDPORT (14 miles) is an elegant town with antique markets (on the Sunday of each month), farmer’s markets, unusual and specialist shops and supermarkets, historic Georgian buildings and a wide range of outstanding restaurants and pubs. At the twice weekly market, local produce can be sampled as featured in the popular ‘River Cottage’ TV series. Attractions include Palmers Brewery Tours and the Bridport Arts Centre. OTTERY ST MARY (15 miles), the birthplace of the romantic poet, Samuel Taylor Coleridge 1772 – 1834, sits beside the river Otter. One of the oldest and most historic towns in East Devon, it is well known for its beautiful church. WEST BAY (15.5 miles) is the dramatic Jurassic coastal setting for TV’s Broadchurch, with its bustling harbour and scenic coastal walks. Boating and sea fishing trips can be arranged at the picturesque harbour. BURTON BRADSTOCK (16.5 miles) is a pretty village with lovely Hive Beach, the Hive Beach Café, a shop and pubs. OTTERTON (17 miles) is a picture postcard village with white-washed thatched cottages is right at the heart of the Otter Estuary Nature Reserve. Visit Otterton Mill for its works of art, West Country crafts, working water mill and highly acclaimed restaurant. BUDLEIGH SALTERTON (21 miles) lies at the foot of the Otter Valley where the River Otter flows into the sea and has a 2 mile long pebble beach. Otterton Mill (6.7 miles) is an an award-winning historic working watermill nearby. ABBOTSBURY (23 miles) is home to the lovely Abbotsbury Subtropical Gardens, Abbotsbury Swannery and Children's Farm. EXMOUTH (26 miles) is one of England’s oldest holiday resorts with a 2 mile long sandy beach and Promenade. 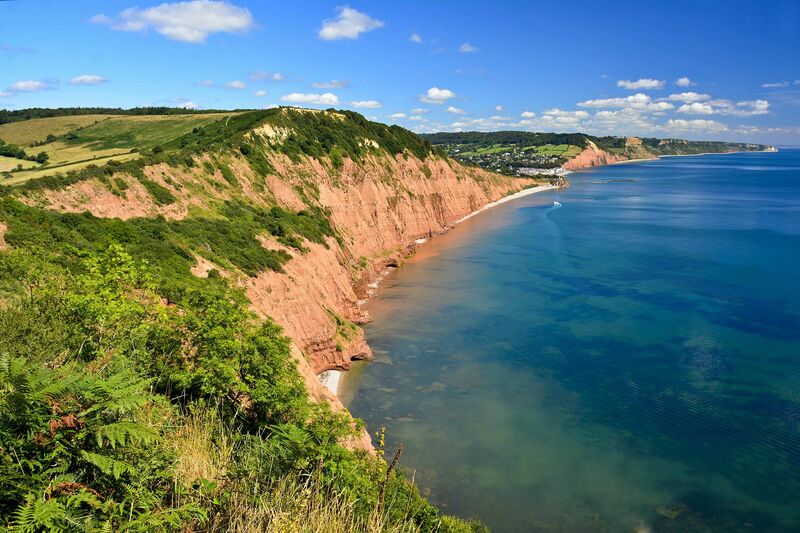 Stuart Line operate cruises from Exmouth Marina along the Jurassic Coast World Heritage site. TOPSHAM (26 miles) attractions include the Topsham to Turf Ferry and Topsham Museum. Topsham boasts quaint narrow streets, old cottages, tea rooms, specialist antique shops and some stunning views over the River Exe. 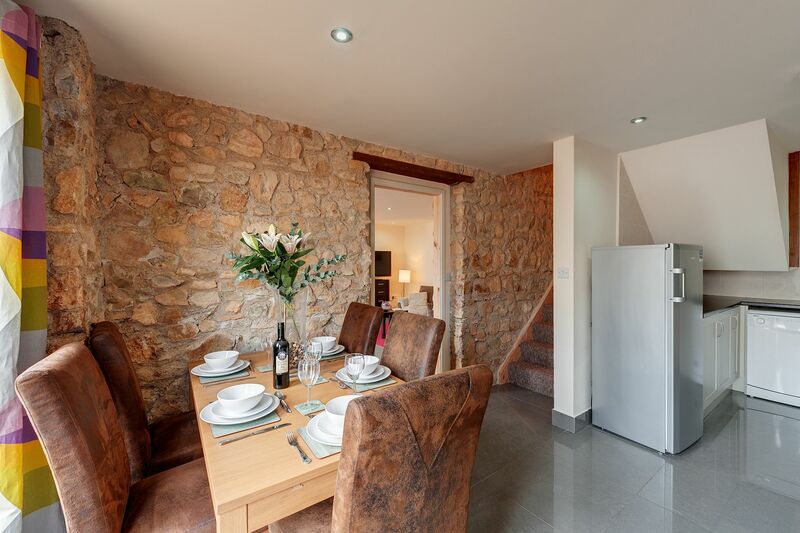 EXETER (31.5 miles) is a lively city with a magnificent Cathedral, Castle, historic quayside area with artisan shops and cafes including Mol’s Coffee House. There are guided tours of the maze of the city’s Underground Passages and a wealth of bars, shops and restaurants. Other attractions include St Nicholas’ Priory and the Royal Albert Museum & Art Gallery. There are also some fabulous walks along the banks of the river, including one from Exeter to the coast at Exmouth. 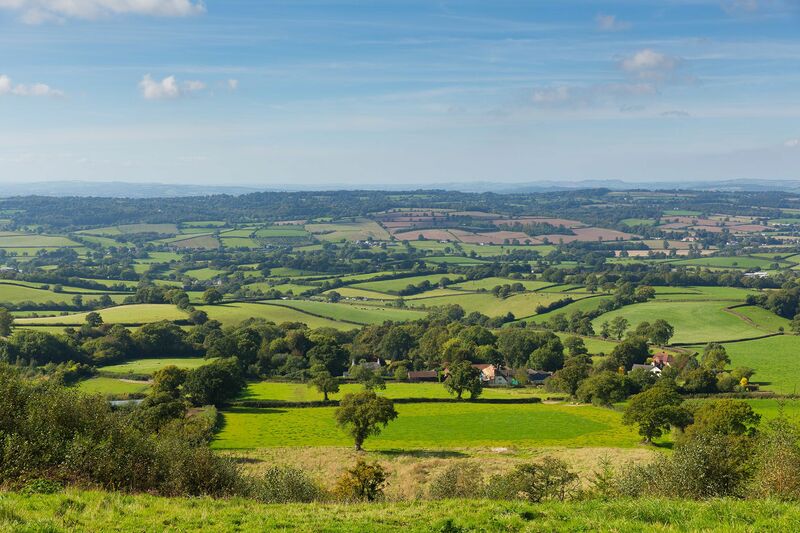 The Blackdown Hills form a tranquil, beautiful, and relatively isolated landscape on the Devon and Somerset border. Steep ridges, high plateaux,valleys and springs create a stunning mosaic of countryside dotted with farms, villages and ancient features. Seaton Marshes Nature Reserve stretches from the estuary at Axmouth (6 miles) to the village of Colyford. There are three local Nature Reserves: Seaton Marshes, Colyford Common and Black Hole Marsh. Pilsdon Pen (National Trust) (11.5 miles) is a bracing hilltop walk up to the second-highest point in Dorset. 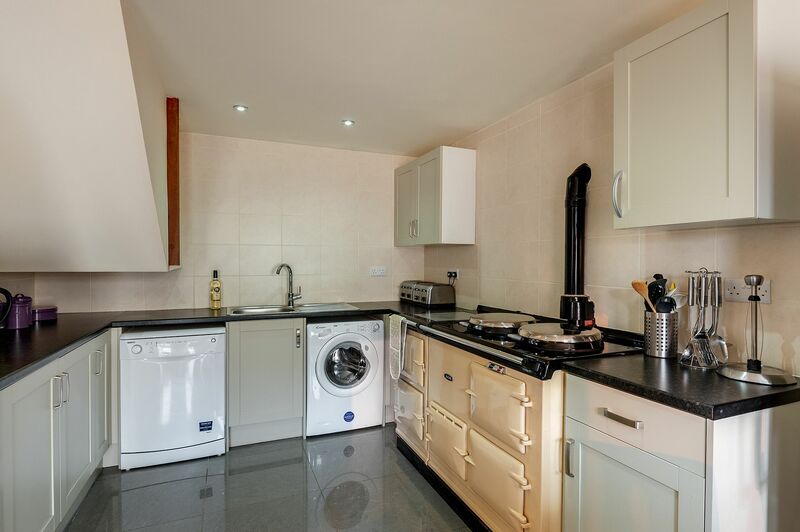 Pilsdon Pen boasts magnificent far-reaching views across the Marshwood Vale. Lewesdon Hill (National Trust) (15 miles), the highest point in Dorset, standing at 915 feet (279 metres), with Pilsdon Pen (see below) nearby. Eggardon Hill Fort (National Trust) (21 miles), a great place for walking with extensive views. The South West Coast Path from Exmouth to Lyme Regis gives walkers on clear bright days some of the most stunning views in England. The South West Coastal Path passes through Devon’s Jurassic Coast and you are able to pick this up at most of the beaches along the East Coast in either direction. Each of the long distance walks can be done in shorter sections, and are well served by public transport links. The path also passes through the East Devon Area of Outstanding Natural Beauty. Nearby walks include a walk from Seaton to Beer, Beer to Branscombe Mouth, taking in the Hooken Undercliff (between Beer and Branscombe), and through Branscombe. Escot Country Park, Ottery St Mary (15 miles) is a fabulous wildlife visitor attraction for the whole family with woodland fun, mazes, birds of prey and otters. 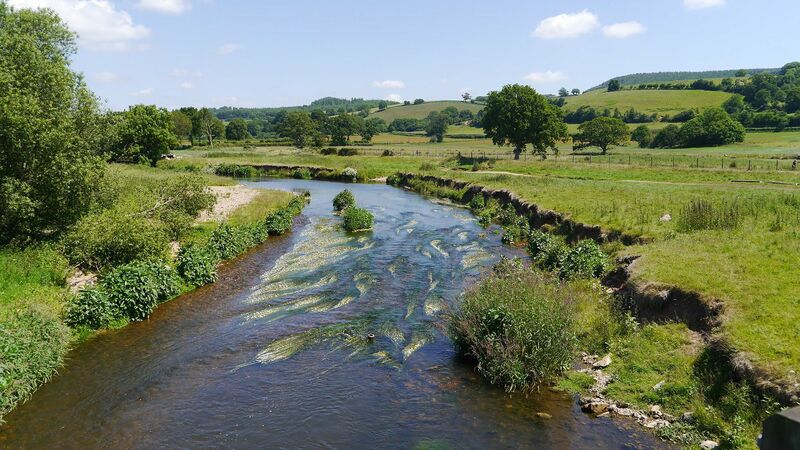 You can take a walk along the banks of the River Otter which passes through villages and towns including Honiton and Ottery St Mary before reaching the sea at Budleigh Salterton. Large stretches of the river are of environmental importance. The estuary is a nature reserve managed by the Devon Wildlife Trust. It’s a special site of scientific interest (SSSI). Due to conservation efforts over recent year, Otters can once again occasionally be spotted in the river. The historic quayside in Exeter (31 miles) is a ten-minute walk from the Cathedral and is the ideal place to try an irresistible Devon cream tea. Take a leisurely stroll along the river Exe, or for a longer walk head to the Double Locks pub for lunch. Exeter shipping canal is one of the oldest in the country, and the Double Locks are the longest, housing two ships at a time. There are also plenty of other activities to get involved in, from rafting or hiring a pedalo, to canoeing or cycling from this very point. Loughwood Meeting House (National Trust), Dalwood (2 miles). The Seaton Tramway operates narrow gauge heritage trams between Seaton, Colyford and Colyton in East Devon’s glorious Axe Valley, travelling alongside the River Axe estuary through two nature reserves and giving an unrivalled view of the abundant wading bird life. Plan your day by starting at Colyton Station (3 miles) and taking the tram to Seaton for a seaside lunch, then back to Colyton where you can board ‘The Wandering Wagon’, a horse drawn carriage which will take you around the pretty town of Colyton. You may want to stop off for a cream tea! Ferne Animal Sanctuary, Chard, Wambrook (8 miles). The Donkey Sanctuary, Slade House Farm, Sidmouth (10 miles). This charity has been providing a home to rescued donkeys from around the world for forty years. Entry is free, and with a lovely café and gift shop it is well worth a visit. This charity does, however, rely on your donations to carry on its good work. This is a holiday with a difference – a chance for you to have close contact with the donkeys in glorious settings – you can groom, cuddle or just sit and watch the donkeys. Norman Lockyer Observatory, Salcombe Hill Road, Sidmouth (11 miles). Furleigh Estate Vineyard and Winery, Furleigh Farm, Salwayash (17 miles) - Vineyard Tours. Crealy Adventure Park, Sidmouth Road, Exeter (21.5 miles) – Roller coasters, drop slides and water flumes plus lots more. World of Country Life, West Down Lane, Exmouth (24 miles). An all-weather family attraction including facilities such as playgrounds, trampolines and restaurant. Shute Barton (National Trust), Shute, Axminster (2 miles). Burrow Farm Gardens, Dalwood (3 miles). Forde Abbey and Gardens, Chard, Somerset (10 miles). Escot Country Park, Ottery St Mary (15.5 miles) is a fabulous wildlife visitor attraction for the whole family with woodland fun, mazes, birds of prey and otters. Mapperton House & Gardens, Beaminster (18 miles). Barrington Court (National Trust), Barrington, Ilminster (19 miles). Bicton Park Botanical Gardens, Bicton, East Budleigh Salterton (19 miles) includes historic glasshouses, a countryside museum, the Bicton Woodland Railway train ride, nature trail, maze, mini golf, indoor and outdoor children’s play complexes, restaurant and shop. A La Ronde 18th-century house (National Trust), Summer Lane, Exmouth (24 miles). Killerton House and Gardens (National Trust), Broadclyst, Exeter (25 miles). Powderham Castle, Kenton, Exeter (31.5 miles). Castle Drogo (National Trust), Drewsteignton (44 miles). Christmas at Killerton, Killerton House (25 miles). Brothers Grimm themed programme of festive events. Stuart Line Cruises : Festive Special Trips, Exmouth (26 miles). Stick Man Trail, Haldon Forest, Kennford (33 miles). Family Fun at Crealy Adventure Park (21.5 miles). Easter Weekend at The World of Country Life, Exmouth (24 miles). Minions, egg trail, crafts and more. Cadbury Egg Hunt, Killerton (National Trust), Broadclyst, Exeter (25 miles). Cadbury Egg Hunt, A La Ronde (National Trust), Summer Lane, Exmouth (24 miles). Easter events at Powderham Castle, Kenton (31.5 miles). Easter Weekend at Bicton Botanical Gardens, East Budleigh Salterton (19 miles). Easter Family Fun Day, Haldon Forest, Kennford (33 miles). Toby Buckland’s Garden Festival, Powderham Castle, Kenton (31.5 miles). Exeter Festival of South West Food & Drink, Exeter (31.5 miles). Donkey Week at The Donkey Sanctuary, Sidmouth (10 miles). Honiton Music Festival, Honiton (9 miles). Devon County Show, Westpoint Arena, Clyst St Mary (22 miles). Pirate Week, The World of Country Life, Exmouth (24 miles). Wonderland, Powderham Castle, Kenton (31.5 miles). Axe Vale Festival, The Showground, Woodmead Road, Axminster. (2.8 miles). Vintage Tractor & Stationary Engine Club Rally, Melplash Showground (15 miles). Bridport Food Festival, Asker Meadow, Bridport (14 miles). Beaminster Festival of Music & Arts, Beaminster (16 miles). The Big Mix Music Festival, Lyme Regis (8 miles). Bridport Charter Fair, Bridport (14 miles). Jurassic Fields Music Festival, Bridport (14 miles). Lifeboat Week, Lyme Regis (8 miles). Let’s Rock Exeter, Powderham Castle (31.5 miles). Exeter Craft Festival, Cathedral Green, Exeter (31.5 miles). Budleigh Music Festival, Budleigh Salterton (21 miles). Lammas Fair Parade, Exeter (31.5 miles). Raft Race (RNLI) at West Bay (15.5 miles). Lyme Regis Regatta & Carnival Week, Lyme Regis (8 miles). West Bay Day (15.5 miles). Sidmouth Folk Week, Sidmouth (13 miles). Bridport Carnival, Bridport (14 miles). Burton Bradstock Festival of Music & Art, Burton Bradstock (16.5 miles). Lyme Folk Festival, Lyme Regis (8 miles). Buckham Fair Pony & Dog Show, Stinford Lane, Beaminster (17 miles). The Honiton Agricultural Show, Honiton (9 miles). Beer Regatta, Beer (8 miles). A week packed with different events to suit all ages. From scavenger hunts and children’s fun to fireworks and late night dances. Big Screen in the Park, Northernhay Gardens, Exeter (31.5 miles). Beautiful Days Festival, Escot Park (15 miles). RNLI West Bay Fun Day (15.5 miles). Deep Water Solo Climbing Competition, Exeter Quayside (31.5 miles). Melplash Agricultural Show, Melplash Showground (15 miles). Candles on the Cobb, Lyme Regis (8 miles). Sidmouth Regatta, Sidmouth (13 miles). Seaton Carnival Week, Seaton (6 miles). Symondsbury/Symene Fete, Symondsbury (13 miles). Seaton Carnival Week and Illuminated Carnival Procession (September 3), Seaton (6 miles). Bridport Hat Festival, Bridport (14 miles). Heritage Open Days, various venues, Exeter (31.5 miles). Food Rocks Festival, Lyme Regis (8 miles). Autumn Charity Garden Fair at Mapperton, Mapperton House, Beaminster (18 miles). Exeter Contemporary Open, Exeter Phoenix, Exeter (31.5 miles). Budleigh Salterton Literary Festival, Budleigh Salterton (21 miles). Colyford Goose Fair, Colyford (8.5 miles). Lyme Regis ArtsFest, Lyme Regis (8 miles). Sidmouth Science Festival, Sidmouth (13 miles). Honiton Carnival, Honiton (9 miles). Half Term Halloween Spooktacular! The World of Country Life, Exmouth (24 miles). Halloween Tram of Terror, Seaton Tramway, Seaton (6 miles). Powderham Michaelmas Fair, Powderham Castle (31.5 miles). Early Christmas shopping inside Powderham Castle. Famous Flaming Tar Barrels, Ottery St Mary (15 miles). Bridport Literary Festival, Bridport (14 miles). Bridport Annual Christmas Tree Festival, Bridport (14 miles). Round Table Charity Fireworks Display, Westpoint Exeter, Clyst St Mary (22.5 miles). This spectacular event has grown to become the biggest fireworks display in Exeter. Exeter – Princesshay Christmas Lights Switch-On, Exeter (31.5 miles). 4pm – 8pm. Fun and music for all the family at the start of the festive season. Eype Makers Christmas Market, Highlands Leisure Park, Eype (14 miles). Winter Wonders Shopping Fair, Exmouth Pavilion (26 miles). Exeter Christmas Market, The Cathedral Green, Exeter (31.5 miles). Christmas Shopping Fayre, Westpoint Exeter, Clyst St Mary (22.5 miles). Exeter Christmas Markets in Castle Street, Exeter (31.5 miles). Exeter Christmas Market in Fore Street, Exeter (31.5 miles). Exeter Inside Outside Christmas Market, Exeter Quayside (31.5 miles). Held inside the historic Exeter Custom House – a lovely venue on Exeter’s beautiful Historic Quayside next to the River Exe. Santa’s Magical Kingdom, Otter Nurseries, Ottery St Mary (15 miles). Christmas Artisan Fair, The Donkey Sanctuary, Sidmouth (10 miles). 10:00am to 4:00pm. The Polar Express Tram Ride, Seaton Tramway, Seaton (6 miles). Visit Santa at Crealy Adventure Park (21.5 miles). Candlelight Carol Service, The Donkey Sanctuary, Sidmouth (10 miles). Annual Candlelight evening and carol service at 3:30pm. Santa events at Bicton Park (19 miles). Well-behaved dogs welcome - one or two dogs are £25pw. A third or fourth dog by request is £50pw.